Offers competitive trading conditions with our easy to use proprietary trading platform ActivTrader, as well as MetaTrader 4 and 5. 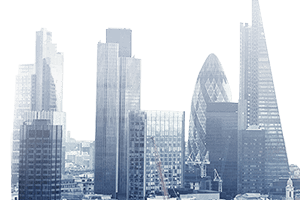 Has implemented effective internal controls to ensure that clients’ funds are held in segregated accounts and can only be used by ActivTrades to carry out clients’ trading and withdrawal instruction. The company is ISO27001 certified. A worldwide recognized certificate for Information Security. *For ActivTrades Plc clients only. ActivTrades serves individual and institutional clients, providing sophisticated tools and services that match the needs of both client categories. Clients can trade with our own trading platform ActivTrader and MetaTrader 4 and 5, two of the most popular trading platforms available in the industry. We provide trading services for more than 50 currency pairs as well as indices, shares, ETFs, gold, silver, oil and other commodities. ActivTrades offers some of the tightest spreads in the industry with our 5-decimal-digit pricing, starting as low as 0.5 pips for EURUSD. Clients can trade minilots and microlots (minimum stake of 10p per point on Spread Betting, for example). Our deal-execution systems are fully automated; there is no dealing desk, and therefore no human intervention, resulting in fairer execution of clients’ trades.